Der Softtouchgriff liegt stabil in der Hand, ein Abrutschen vom Griff ist unmöglich. Locker aus dem Handgelenk: Mit den robusten und funktionalen Schneebesen von WMF schlagen Sie Sahne, Eischnee und Dessertcremes schnell und mühelos auf. Die tropfenförmig gebogenen Drähte aus rostfreiem Cromargan® sind elastisch und dabei formstabil – so können Sie auch festere Massen wie Teig und Eierspeisen mit Schwung vermengen. Die Schneebesen von WMF sind in verschiedenen Größen und Ausführungen erhältlich. Finden Sie Ihren! WMF whisks are attractive on account of their ergonomic design and high practicality. Liquids like cream and eggs can be mixed in seconds. One of the first manual skills young chefs are taught at professional cookery schools is how to move their wrist properly to beat ingredients. This hand movement is extremely important because omelettes and creams only come out right if enough air is beaten into them. It's no wonder then that whisks are an essential element in any kitchen and ensure light and airy cooking like no other tool. The German word for a whisk – Schneebesen – literally translates as "snow broom," partly because it looks a little like a broom, partly because whisks have long been used to turn egg whites into 'snowy' peaks. In addition to hand whisks, we also now use modern electric models. However, these lack the sensitivity of manual whisking. That's why most chefs still beat or whisk their creams and eggs by hand. A whisk is made up of six to 12 long wire prongs looped over to make them elastic. This enables liquids to be beaten at an angle in a circular motion. The air bubbles folded into the liquid by this movement are broken down by the wires, thus creating a fine foam. The better you master this movement, the finer the mass will be. A whisk can even be used to emulsify or homogenise semi-liquids because the ingredients are gently divided into smaller parts and mixed together. All WMF whisks are made from high-quality Cromargan® 18/10 stainless steel. WMF places particular emphasis on creating tools that are simple to clean. So it goes without saying that our various models are dishwasher-safe.  The WMF online shop also has several models with especially robust plastic loops. WMF whisks are available in lengths of between 15 and 30 cm and match the Black Line and Profi Plus collections. Black Line whisks have soft-touch handles and non-slip zones to enable effortless whisking with optimal ergonomics. Profi Plus whisks are designed to meet the high demands of professional chefs and are extremely durable thanks to their large, resilient shape. Explore the WMF online shop and be enchanted by WMF whisks!